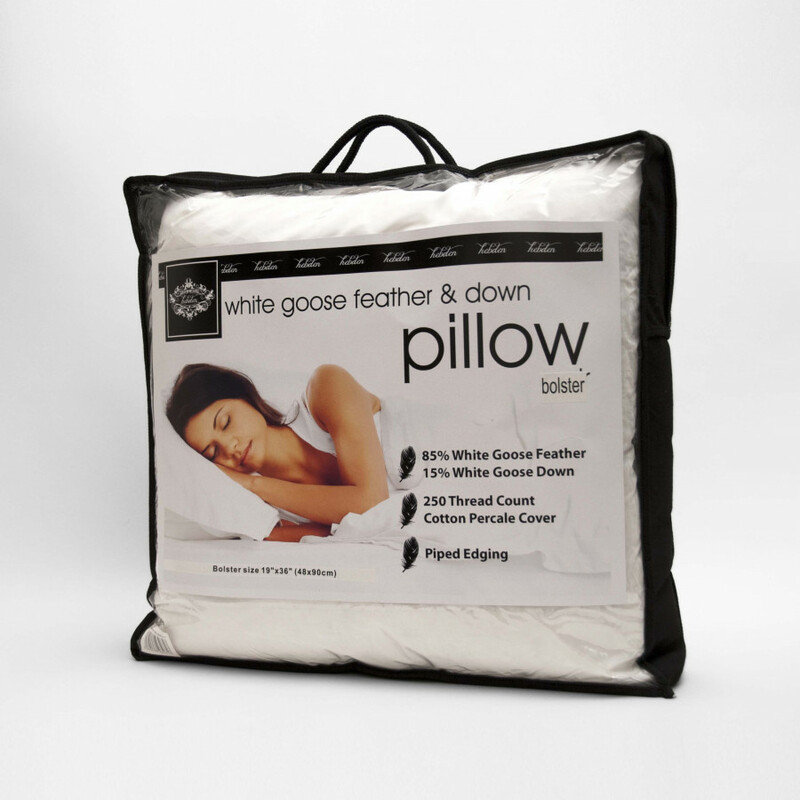 Crafted using the quality 230 thread count cover, our 85%Goose Feather 15%Down Bolster Pillows is extraordinarily soft, luxurious and long-lasting. 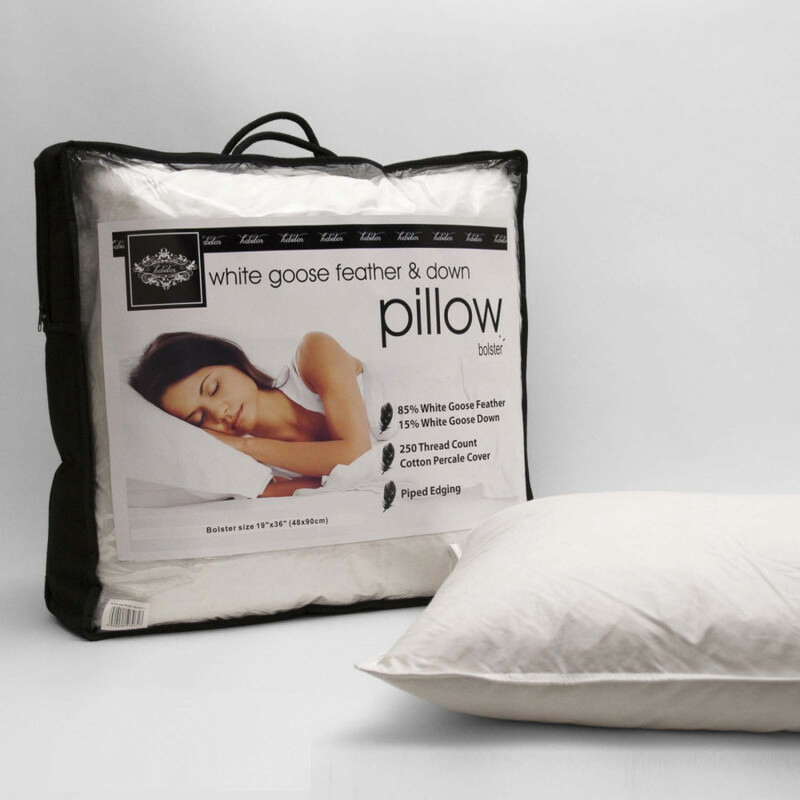 Choose from a wide selection of sizes like 19" x 54" Bolster Pillow (4ft6inch), 19" x 60" Bolster Pillow (5ft) and 19" x 72" Bolster Pillow (6ft)", makes a good choice for king size beds and side sleepers. Extremely handy and easy to maintain, this pillow is machine washable and can be tumbled dried. Sizes available: 19" x 54" Bolster Pillow (4ft6inch), 19" x 60" Bolster Pillow (5ft) and 19" x 72" Bolster Pillow (6ft)"